Home » Get involved » Shop at AmazonSmile » How to use AmazonSmile on your phone or device. It’s easy! Every time you shop at AmazonSmile and choose bibic, you’re helping children and young people with disabilities achieve their true potential! 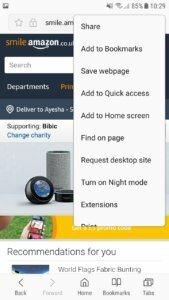 The good news is that although there is no AmazonSmile App, it’s really easy to create a shortcut to your phone home screen and it will feel just like using the Amazon App. 1. 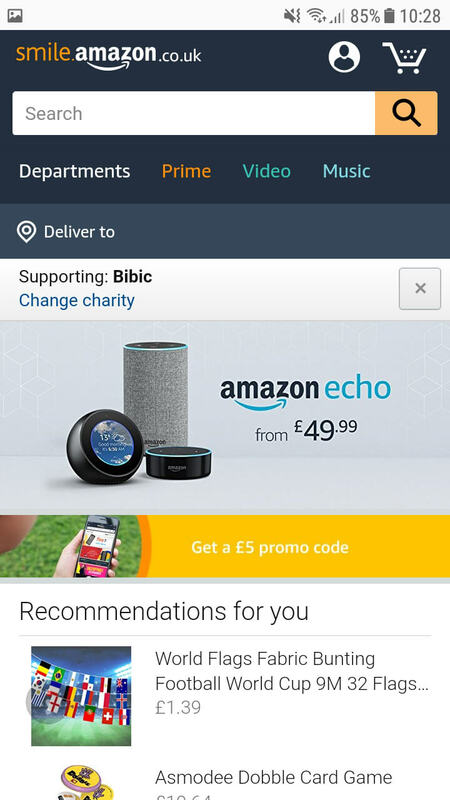 If you have the Amazon App installed you should remove it. 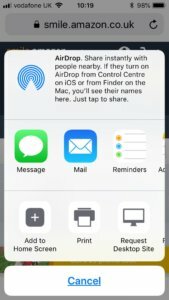 To do this, tap and hold the app icon until it starts jiggle. Tap the cross at the top left of the icon and confirm that you want to delete it. Don’t worry, this will not delete your Amazon account or any of your settings. 1. If you have the Amazon App installed you should remove it. Don’t worry, this will not delete your Amazon account or any of your settings.